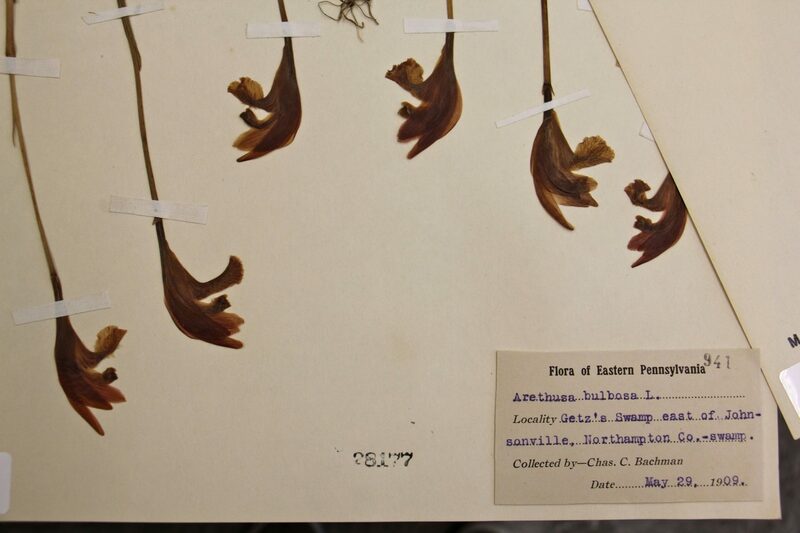 A specimen of Arethusa bulbosa, an orchid commonly known as dragon's mouth, was collected in flower on May 29, 1909. 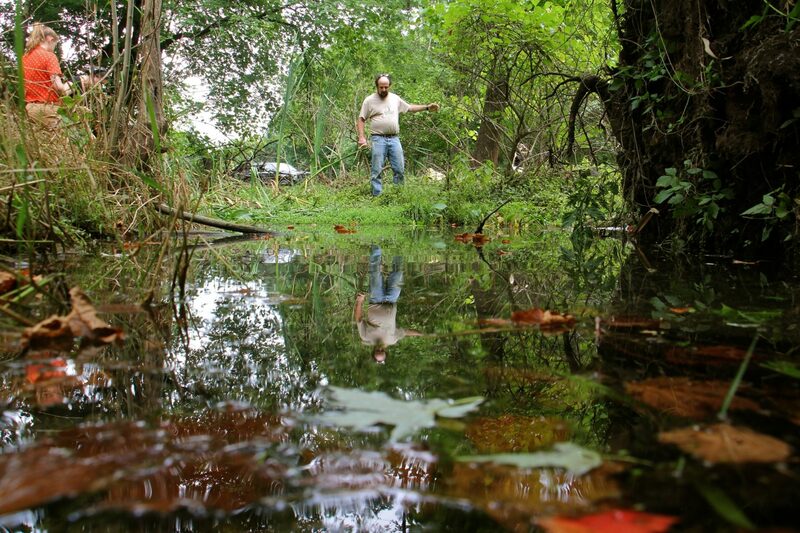 Dr. Richard Niesenbaum and his assistant, Muhlenberg student Lindsay Press, search for rare plants at a roadside pond near Cedar Creek in Allentown. 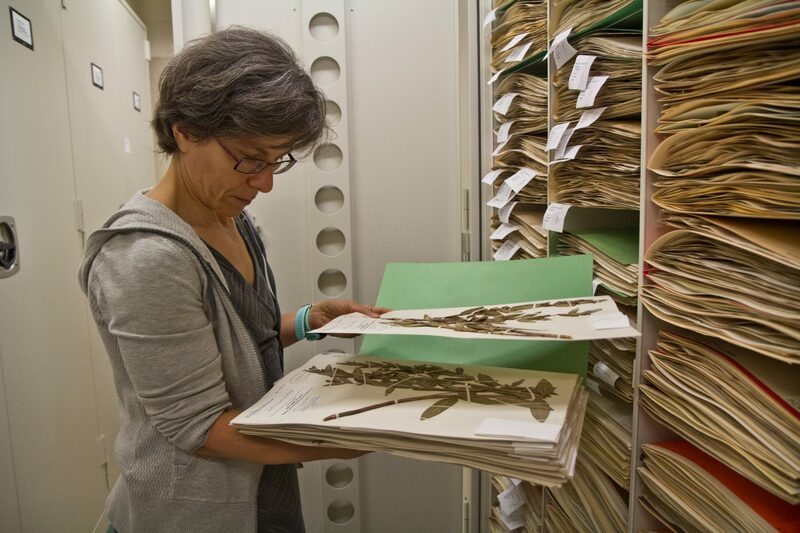 McCourt helps manage the oldest herbarium in North America, which has an estimated 1.5 million plant specimens in its collection. 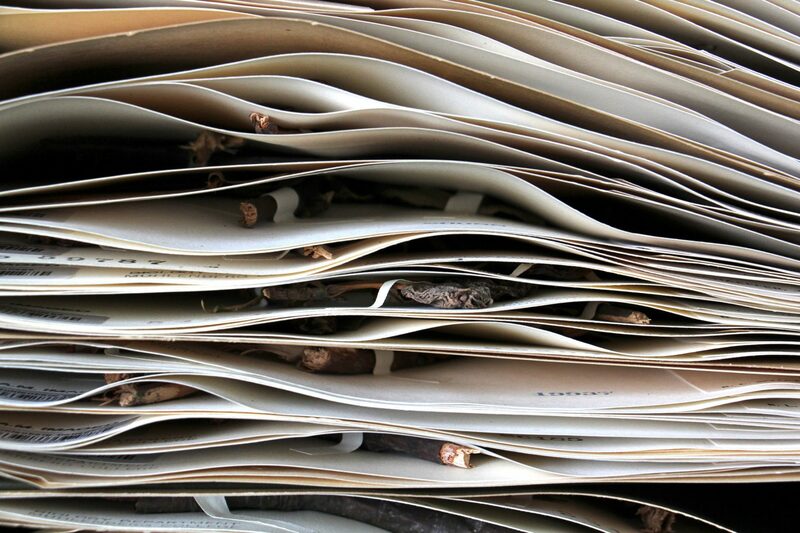 About 350,000 were collected along the East Coast. 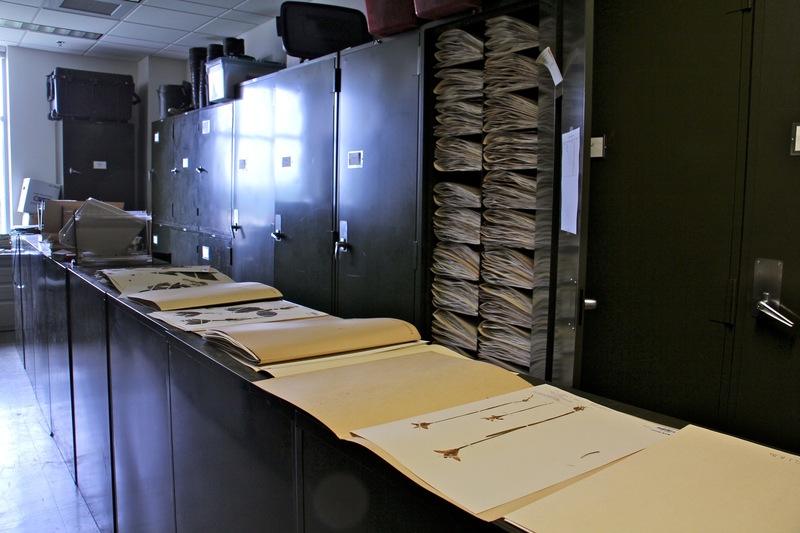 Drexel University students work to digitize the Mid Atlantic collection in the herbarium at the Academy of Natural Sciences in Philadelphia. Dr. Richard Niesenbaum and his assistant, Muhlenberg student Lindsay Press, compare a sedge plant found near Cedar Creek with an herbarium specimen of the rare Carex tetanica. Potamogeten zosteriformis, otherwise known as flat-stemmed pondweed, includes notes from the amateur botanist that it was found on July 20, 1924 in “Cedar creek south of Fairview Street.” The notes also mention a quarry. Niesenbaum said there’s only one old quarry in Allentown, so he’s pretty sure he knows where to go.